Lisbon is beautiful. It only took me a few hours to fall in love with the city – the charisma, the nightlife, the architecture, the people, the food, and the language are all bits and pieces of it. I’m not sure how or why, but there are certain cities you just click with while traveling. Lisbon is one of those cities for me. The city lies across seven different hills offering picturesque views of the River Tagus (Tejo) from many different looking points. Climbing dozens of staircases throughout the city and walking through narrow alleyways to reach Castelo de São Jorge (St. George’s Castle) was well worth it. It offered my favorite views of the city. Although much of the castle has been restored, it was still pretty incredible to wander through it. The ruins and gardens with peacocks wandering freely also added to the beauty of the castle! Wandering down the hill a short way, you’ll run into the Alfama district. 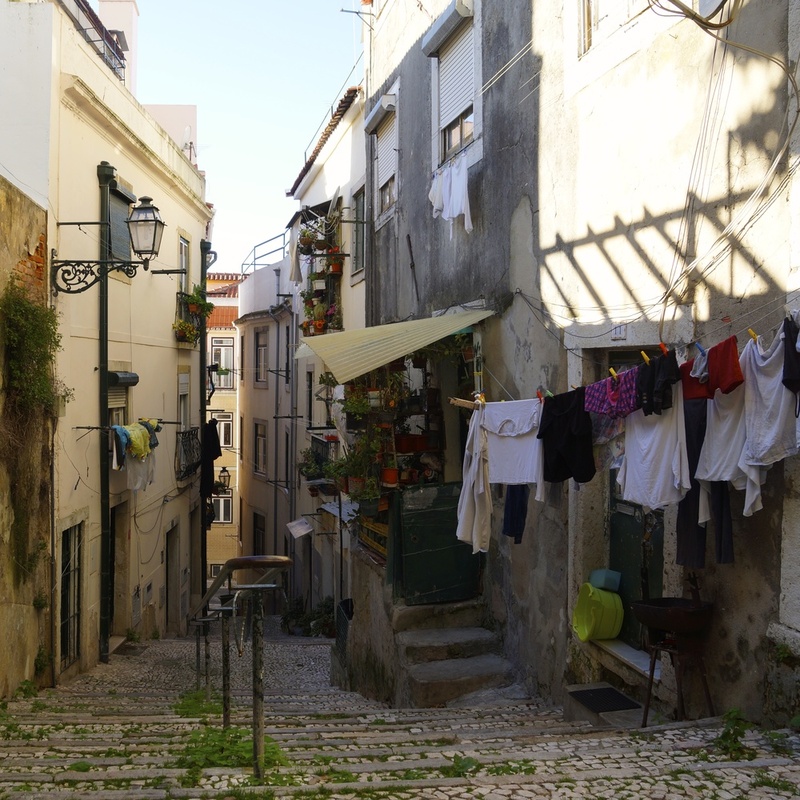 Alfama is made up of narrow streets that zigzag throughout the district, small plazas, stunning staircases, and beautiful mosaics that frame doors and windows. Belém, a district of Lisbon a ways down the river from Alfama, is home to a few of Lisbon’s landmarks including the Mosteiro dos Jerónimos (Jerónimos Monastery), the Monument of Discoveries, and the Torre de Belém (Tower of Belém). The monastery and the tower are both classified as UNESCO World Heritage Sites. 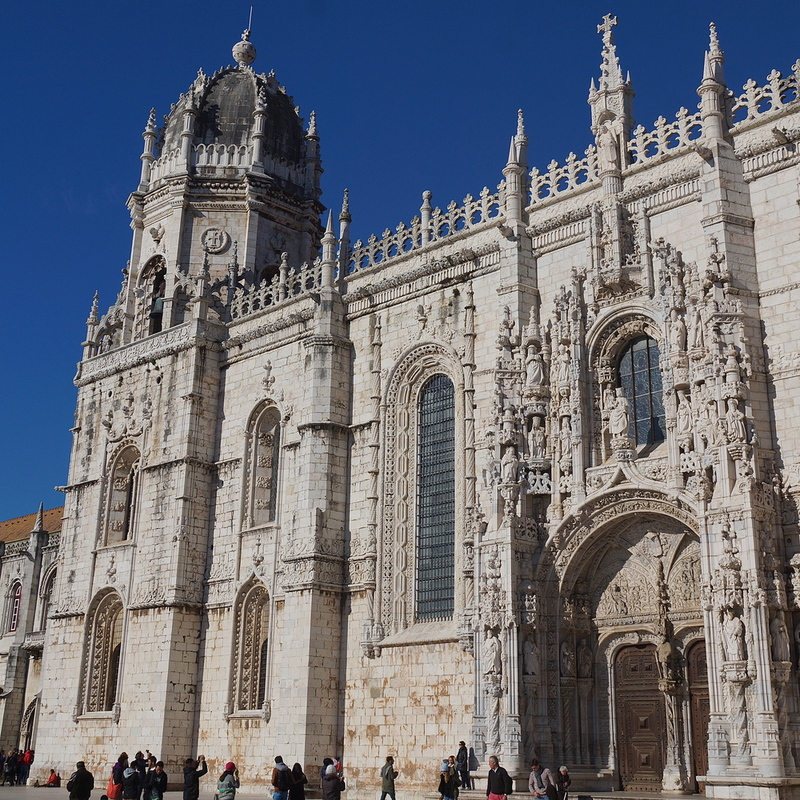 The monastery is a symbol of the wealth and power that Portugal had during the Age of Discoveries. Today, it’s considered one of the greatest triumphs of European Gothic because of the intricate details in the design. The tower also became a UNESCO site because of the role it played for the Portuguese Maritime during the Age of Discoveries. Up a small hill lies the Jardim Botanico Tropical (Tropical Botanic Garden), it wasn’t fancy, but it offered relaxing walks and incredible tropical plants from many of Portugal’s ex colonies. 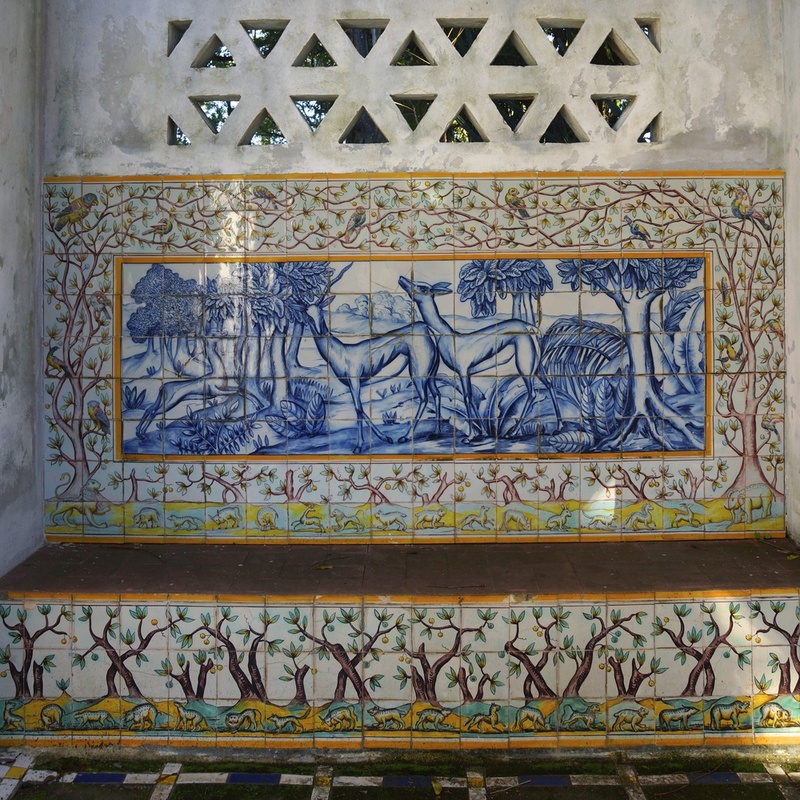 It was clearly in a better state at one point, but there was a certain charm to the contrast of the crumbling buildings, benches with detailed mosaics, and the different trees and animals found throughout the gardens. Back in the city center, take the time to have a coffee from a corner café, or sit down at one of the waterfront cafés to people watch. 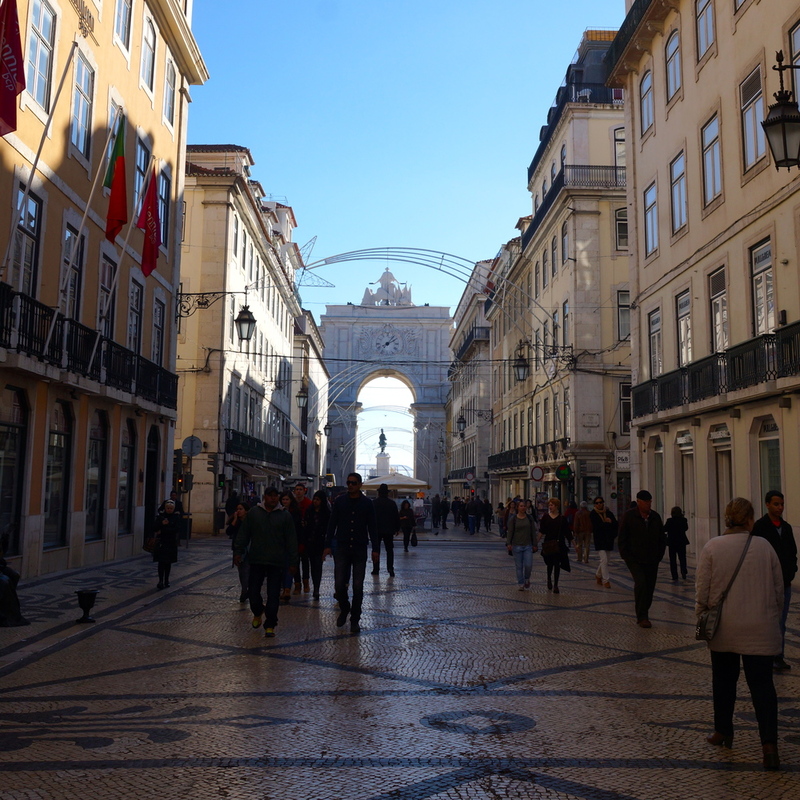 Visit the Praça do Comércio, a beautiful plaza that connects to Rua Augusta, a long pedestrian street with shops and restaurants galore, that will lead you to a few other lovely plazas with beautiful views. I was lucky enough to see the plaza at Christmas time and can say without hesitation that people in Portugal know how to decorate for Christmas! 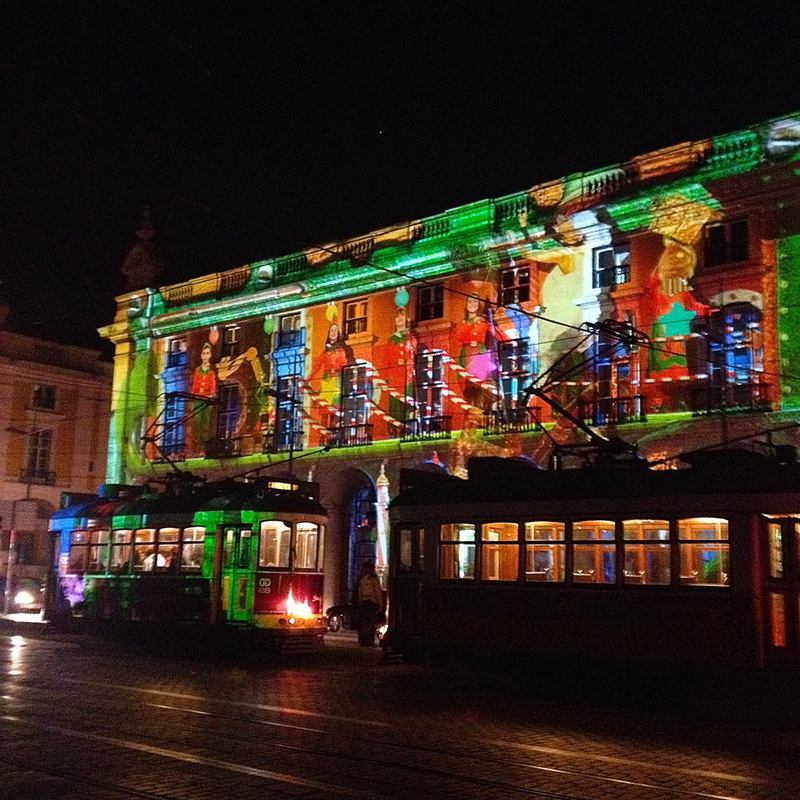 Lights were everywhere and the city projected an original Christmas animation onto the arch three times every evening. Finally, head out for a mojito after 10 when the city comes alive! Food is an important part of the culture in Lisbon, but if you can taste one, and only one dish in Lisbon, you must try bacalhau (codfish). I repeat, bacalhau, bacalhau, bacalhau! It’s prepared in at least 1,000 different ways and can be a starter or a main course for lunch or dinner. Make sure to buy a few boxes of canned seafood to taste, too! It’s on of the many things Lisbon is known for and although I’m not a big fan of sardines, there’s always octopus, tuna, bacalhau, and more! 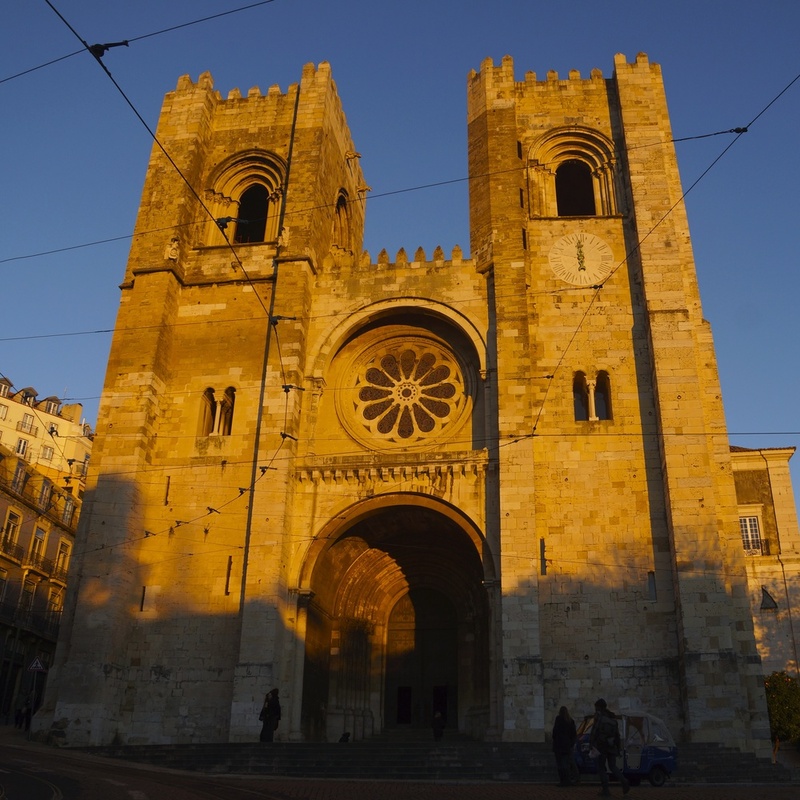 There are a few day trips you can take from Lisbon that are well worth the short train ride. Unfortunately, I didn’t have time to visit all of the surrounding areas I planned to visit (I got distracted in the city and lost track of time). However, I was able to make it to Cascais, a town that lies on the Atlantic coast about 20 miles to the west of Lisbon. 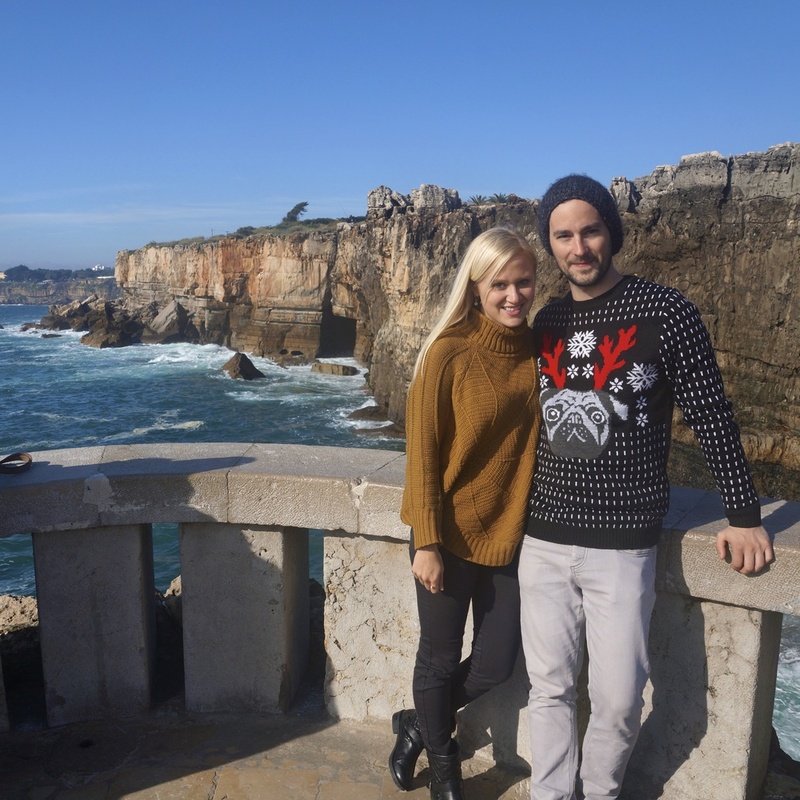 Originally, Cascais was just another old fishing town, but in the late 1800s the Portuguese monarchs began to spend their summers in Cascais and more recently it has regained fame among tourists. Even in December, the beaches were beautiful. My favorite area was about a half-mile or so out of the city center. Large cliffs, known as the “Bocas do Inferno” (Mouths of Hell) were magnificent. The beating waves loudly crashed in between the cliffs and it was easy to see how they received their name. Até logo, Lisboa! See you later, Lisbon!